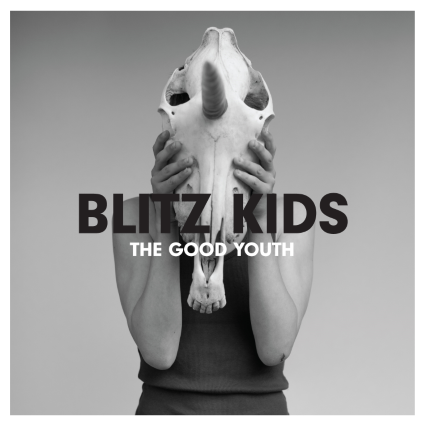 Blitz Kids are an Alternative Rock band from Nantwich, Cheshire (and Exeter, Devon) formed in 2006 who have been slowly working their way in to the rock public consciousness. They were last seen supporting Mallory Knox on their last tour of the UK. The Good Youth (9) kicks off with "All I Want Is Everything" with gang vocal introduction before launching into straightforward pop punk with bright shiny guitars and a chorus consisting of the song title. Highlights of the album include "Run For Cover" which has an electro beat and vocals reminiscent of Don Broco; "On My Own" which sounds like the Get Up Kids which is no bad thing ; "Sometimes" with its indie reference points and "Sold My Soul" which would not sound out of place on a The Used record. All of which could be singles in their own right with an abundance of catchy choruses and chugging guitar riffs. The only deviation from the indie/ pop punk template is "Pinnacle" an electro pop song, with autotune treated vocals which sort of works, but doesn't at the same time, a guilty pleasure song. Lyrically the album is quite dark with references to death and suicide, but this is balanced by the positive message that life is worth living and it is musically upbeat. The album ends on the plodding "Lost Generation" which is saved by a soaring chorus leaving the listening wanting to listen to the album again. It is no surprise that this album is produced by John Feldmann who has worked with The Used, D.R.U.G.S, Story of The Year and Panic At Disco .The album has his trademark flourishes including synths, orchestral strings and layered vocals, giving the album that familiar quality. The album is a highly enjoyable pop punk record with great vocals, impeccable productions and solid workmanship. It is not going to win awards for originality, but the added layers keep the listener coming back for more. This album will appeal to a wide range of people including fans of Mallory Knox, Don Broco,Young Guns, The Used and Panic At the Disco.